Happy Monday!! I know that today is a holiday for many of you so I hope you're enjoying your time off. This is a big week ahead, with the Oscars on Sunday and an upcoming trip for me. I'm trying to get all my work finished before I take off on Saturday. P.S. Before you hit the slopes today, read this article about combating hat head & hair on Jenesequa. Happy Monday to you too, dear! Have a great week! Happy Monday! :) Love the pink! Who doesn't like pink? 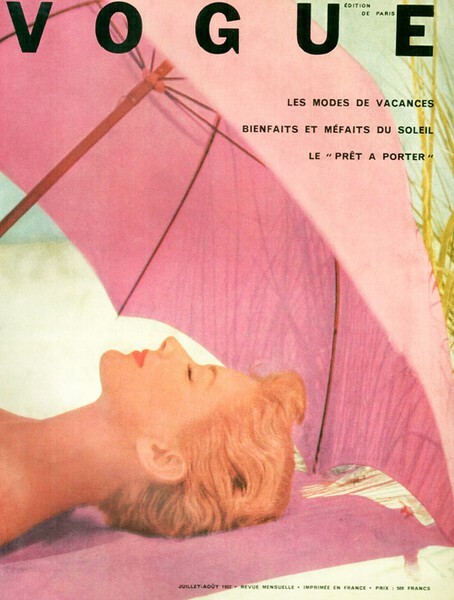 And this is coupled with one of my favorite vintage Vogue covers. Lovely post.